This December welcomes the ultimate showdown of show jumping, the all-new GC Playoffs in Prague. 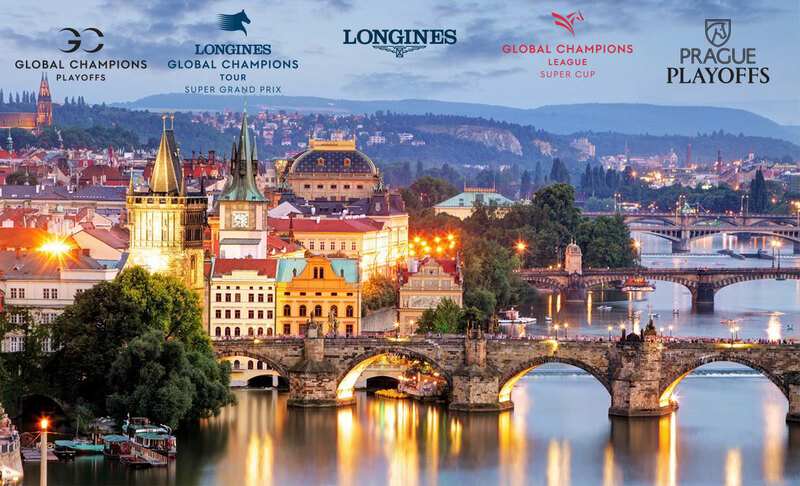 Throughout the 2018 Longines Global Champions Tour and GCL season, the world's best individual riders and teams have been battling for a ticket to the spectacular four day event, which offers up an unprecedented 12 million euros in prize money. International media accreditation application is now open, please download the form from this link and return to press@globalchampionstour.com. Please note the application form is a downloadable document, situated on the left of the page. The premiere of the thrilling new format for show jumping will take place from Thursday 13th to Sunday 16th December 2018 at the dynamic O2 Arena, which hosts major concerts and sports events, and will be the first indoor event on the Longines Global Champions Tour and GCL calendar. Individual winners from each leg of the LGCT Championship race will be invited to the GC Playoffs, where they will come face to face in the battle of the season's best. The Longines Global Champions Tour Super Grand Prix promises to be a thrilling show-stopper, with one rider taking top honours and the lion's share of 1.25million euros in prize money. Qualifiers so far include the likes of current World Number 1 Harrie Smolders (NED), Ben Maher (GBR), Ludger Beerbaum (GER), Scott Brash (GBR), Edwina Tops-Alexander (AUS), Peder Fredricson (SWE), Daniel Deusser (GER), Nicola Philippaerts (BEL) and Gregory Wathelet (BEL) to name just a few. The introduction of the GC Playoffs this year will also see a roller-coaster of eliminations, upsets and glory as GCL teams battle through the quarter final, semi-final and final stages of the GCL Super Cup with the winning team alone taking home €3 million - part of the historic prize purse for a single event in show jumping.